Domènec is on the move again. Lesson / Koan : Travel with travelers. MASS models – ( solid construction ) makes for a great travel companion on the way to Utopia. 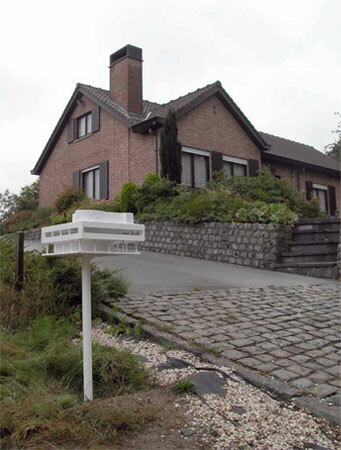 The region of Zwalm, Belgium has an urban structure based on detached houses with gardens, in which there are no examples of the modern architectural tradition. 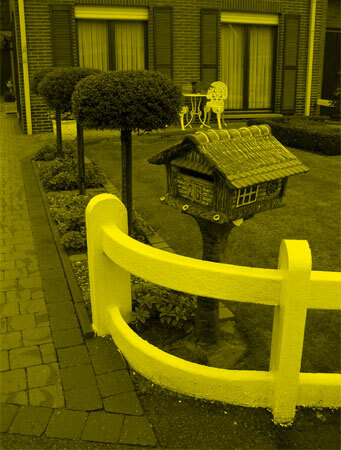 Strangely enough, many of Zwalm’s houses have a mailbox which reproduces an idealised / utopian traditional cabin, like those in children’s storybooks. CUPtopia’s friend Domènec is always putting a twist on everyday life, that why we’re hoping a few of our readers try this in your neighborhood. 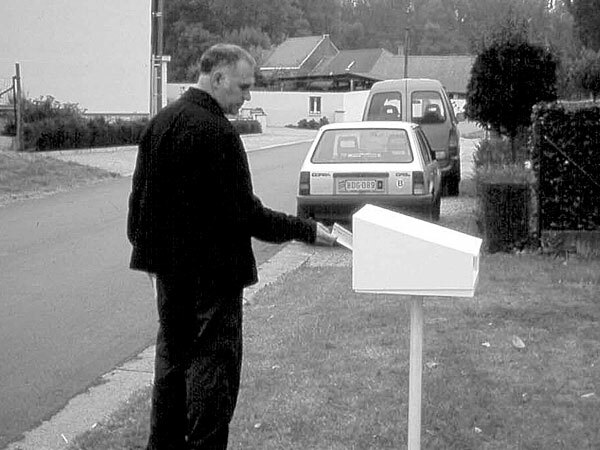 Wanting to introduce an ironical commentary in the Zwalm, Belgium context, Domènec substituted some of the traditional mailboxes with scale models of rationalist constructions, like the Villa Savoye and House no. 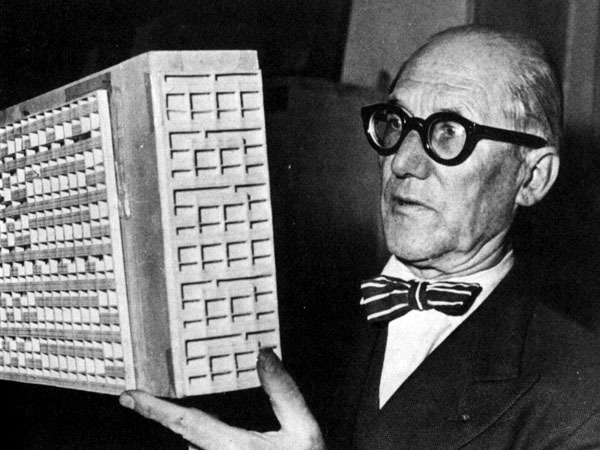 13 of Le Corbusier, the Steiner House of Adolf Loos and the Bolle House of EugeenLiebaut. 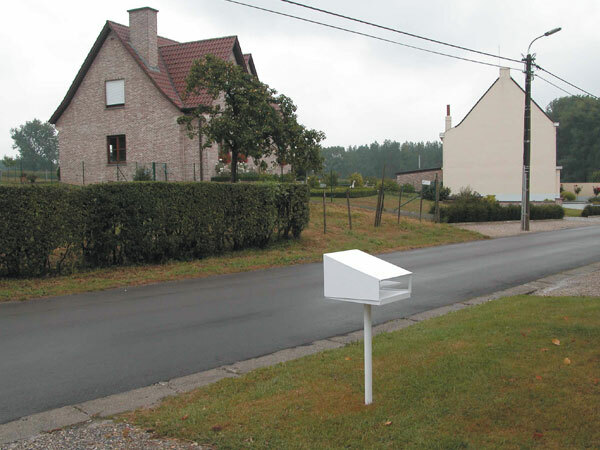 One can see why Domènec has been influenced by the Belgian architect Eugeen Liebaut’s work in the following project…and the idea of something foreign landing in your front yard or the nearby countryside. 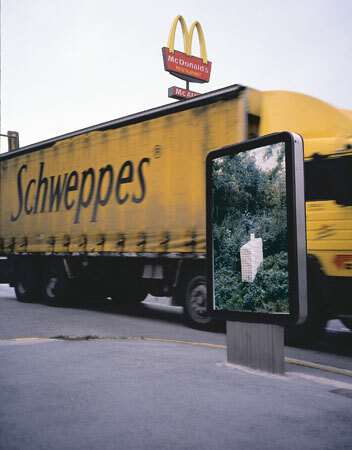 Eugeen Liebaut deliberately set out “to burden the already over-full landscape as little as possible“. 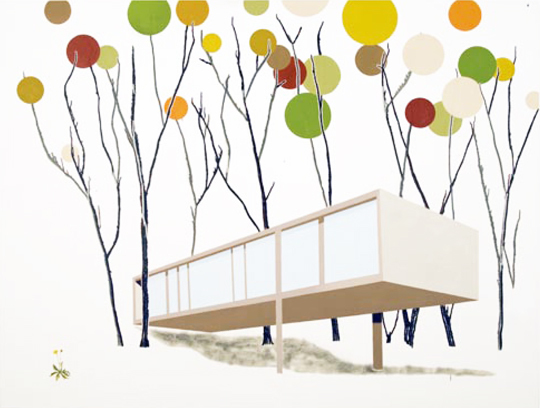 He wanted to create houses that does not really occupy the land but appear to float, and give the impression of being mobile installations which if so desired can be moved or removed, so that “the landscape can be restored at any time“. The little weekend house was made for himself in 1987. 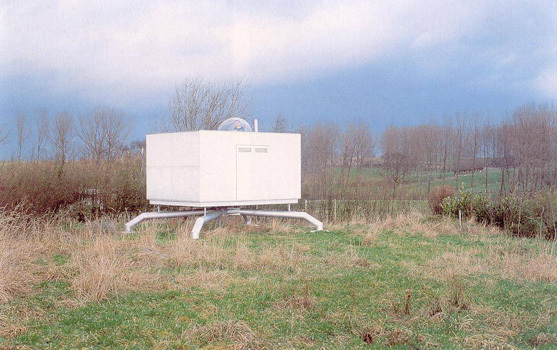 He conceived it as a white box raised on steel legs in a meadow, looking like a capsule from outer space landed to investigate the terrestrial landscape. The Unité d’Habitation in Marseille, built by Le Corbusier in the 1940’s represented a beginning. 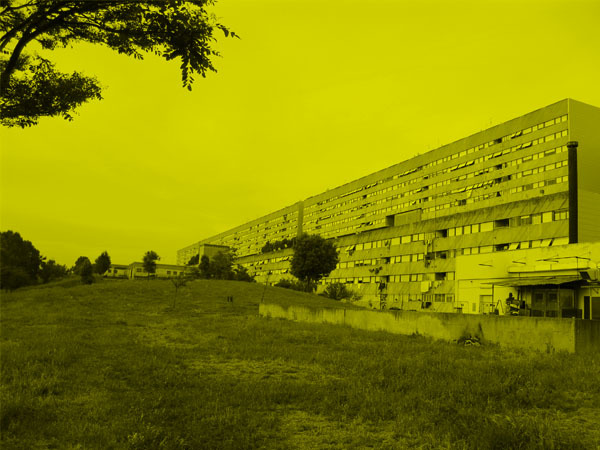 Le Corbusier and others began a series of architectural projects concerning social housing with clear Utopian inspirations and a radical attempt to transform the common ways of life. 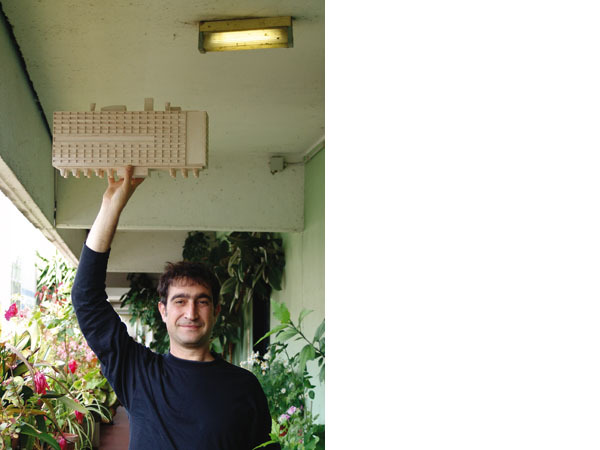 The Sostenere il palazzo dell’utopia (Holding the Building of Utopia) project consists of a series of portraits of Corviale’s inhabitants holding in their hands the model of the Unité d’Habitation in Marseille. 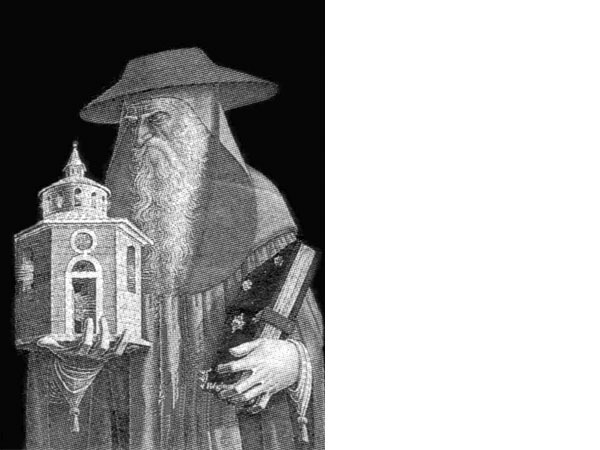 Holding the Building of Utopia, recreates a type of democratic and egalitarian version of medieval imagery (where the powerful: popes, bishops and kings were represented holding the city they had founded), in a modest poetical attempt to re-found the possibility of Utopia. Don’t want to spend a premium for your Nizagara? This is a solved issue, as you can buy it at our store now for only 1.22 USD! 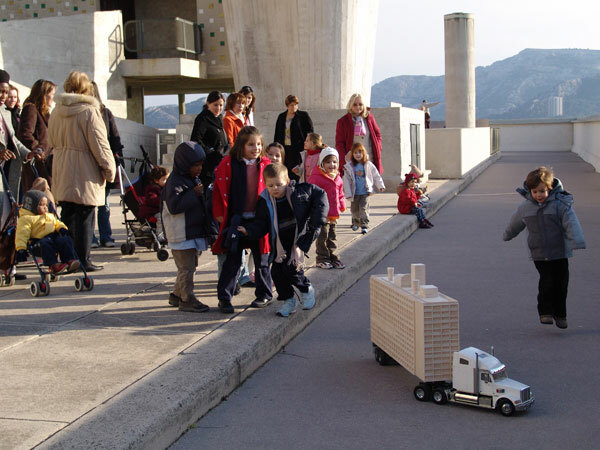 The utopian games continue with the Barcelona-based artist Domènec’s Unité Mobile (Roads Are Also Places). Lesson / Koan : Go mobile. The Unité Mobile (Roads Are Also Places) video takes the form of a “day in the life We offer the most affordable prices for Florinef on today’s market. Make sure to check our offers and buy Florinef for 1.47 USD today at our online pharmacy! 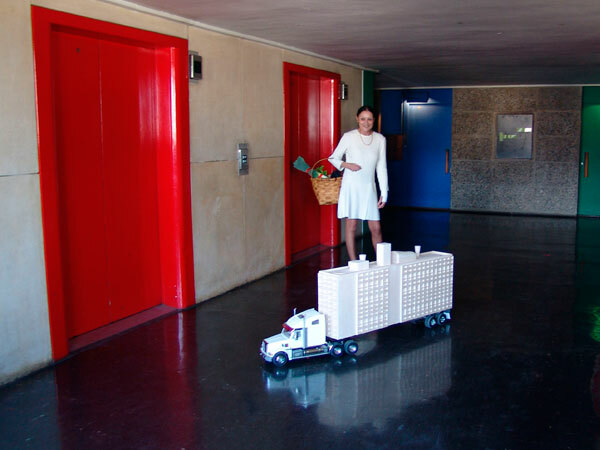 ” documentary as a tiny copy of Le Corbusier’s Marseilles Unité d’Habitation–mounted on a toy truck-bed–navigates the corridors, elevators and terraces of the real Unité. 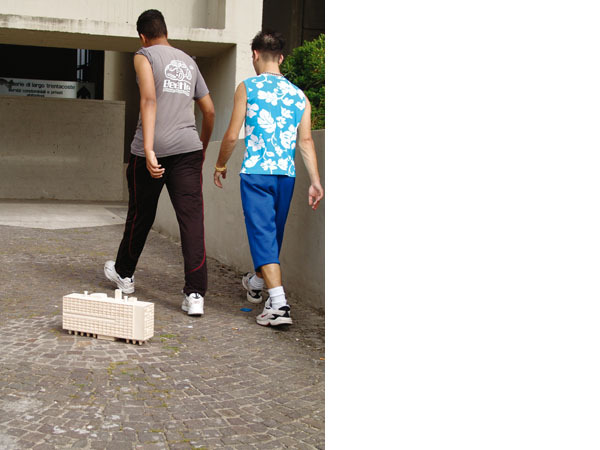 A new adventure is always around the corner for the miniature Unité as it encounters the inhabitants of the complex (known locally as “corbus” for their dedication to a “corbusian” life style). 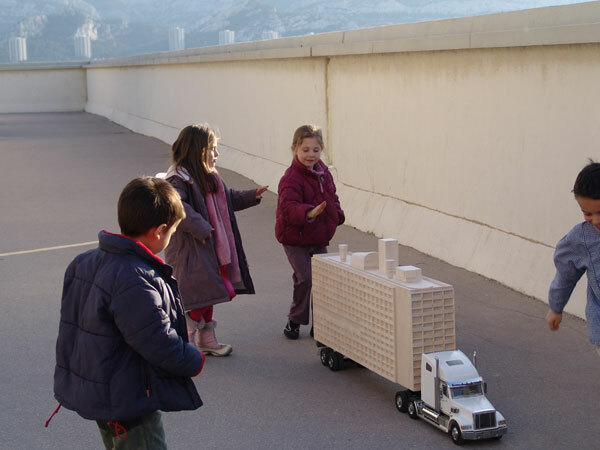 Unité Mobile (Roads Are Also Places) is, in the first instance, a toy; a remote-controlled truck that can be driven at one’s pleasure. It would be wrong to call it a sculpture, or even a mobile sculpture that, once set in motion, is reinstated as such. The gesture is eloquent : the modern architectural paradigm for the happy dwelling, conceived as universal solution on the basis of utopian premises, has now been converted into a mere playful instrument, restless and absurd if it is not handled with freedom. Get the best Dostinex deals at our online store today! Take a look at our offers and buy your Dostinex for only 4.6 USD! “There will no longer be any centre to be reached, but instead an infinite number of moving centres. There will no longer be any chance of getting off track in the sense of getting lost, but rather in the more positive sense of finding previously unknown paths.” Constant, “The principle of disorientation” in X. Costa / L. Andreotti (eds), Situationists. 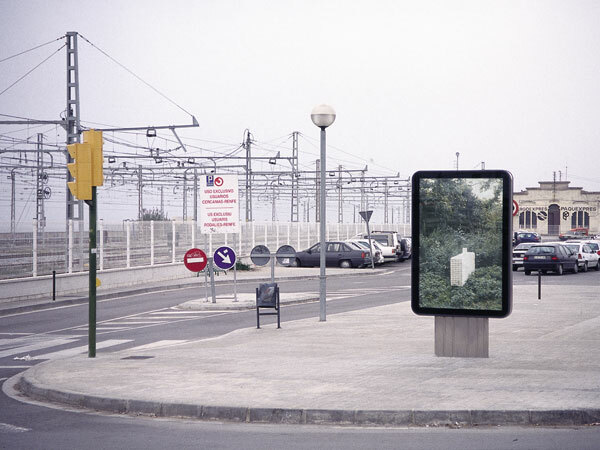 Art, Politics, Urbanism, MACBA/ Actar, Barcelona, 1996, pp. 86-87. Steven Guarnaccia’s twists on “The Three Little Pigs There’s no need to spend your time looking for a cost effective solution for your Aricept! Purchase it for 1.04 USD right now! ” recast the fairy tales as only a design dork could. Lesson / Koan : Some fairies live forever. 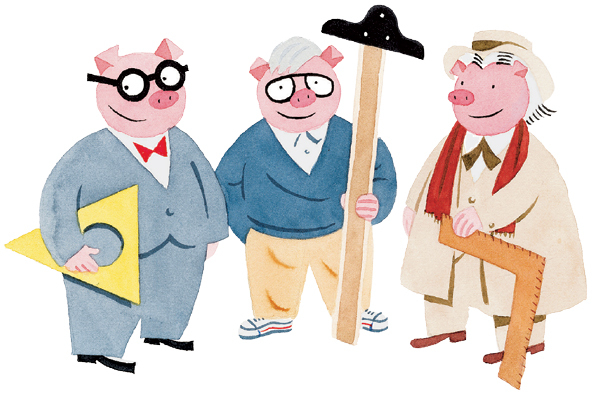 The Three Little Pigs are (above, from left) Le Corbusier, Frank Gehry and Frank Lloyd Wright. 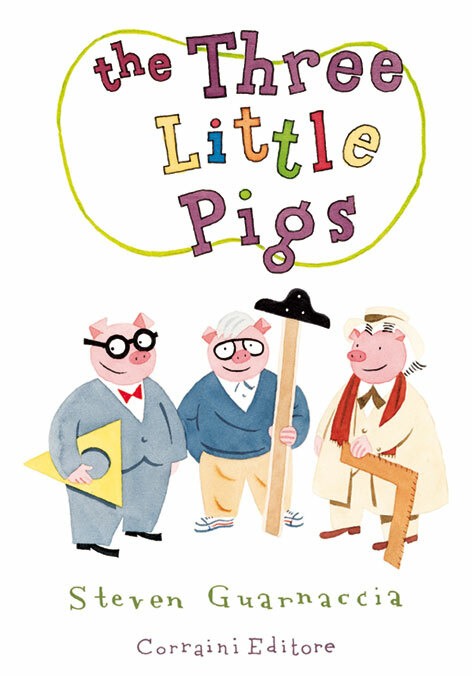 The tale of The three little pigs is set by Steven Guarnaccia among houses by great architects of the XXth century. 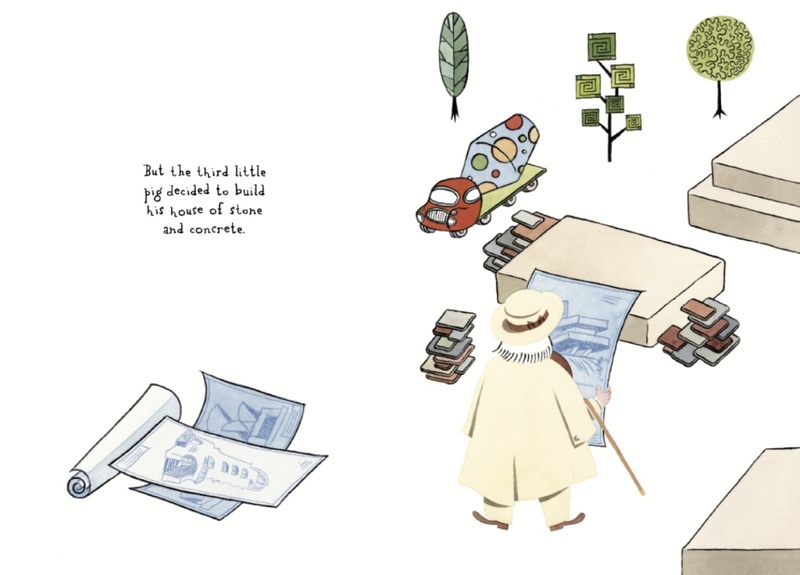 Corbusier, Gehry and Wright are in fact the main protagonists of this contemporary tale with other renowned architects in their houses of scraps, of glass and of stone and mortar. And the house before which the Big Bad Wolf hopelessly huffs and puffs is none other than Fallingwater. 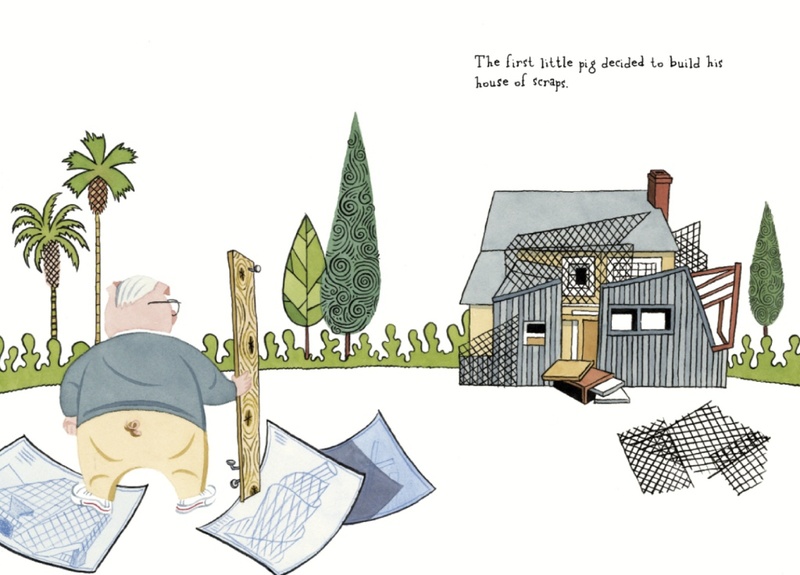 Pigs have always lived in Utopia…but, Architects depicted as pigs, guess Mr. Guarnaccia knows something more? Steven Guarnaccia is an illustrator and a designer. He lives and works in New York. His works appear in many newspapers, such as The New York Times, where he worked for three years as art director of the Op-Ed page. He has worked with MoMA and has designed jewelry, watches, rugs and wall paintings for firms such as Acme, Swatch and Disney Cruise Lines. He has published many collections of illustrated palindromes, books for children and pop-up books. 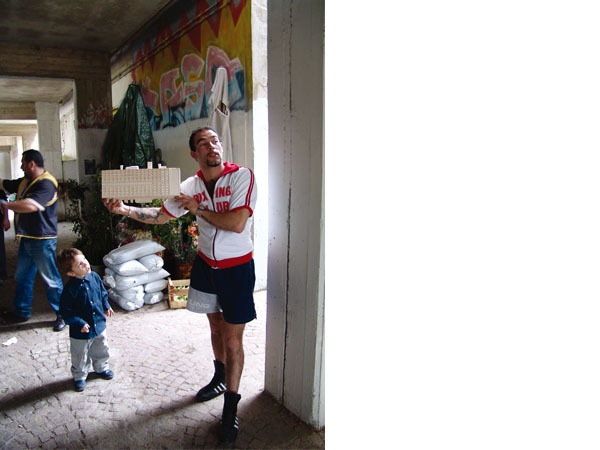 He has been a long-time collaborator with Abitare and publishes books with Edizioni Corraini. He is now in charge of the Illustration Department of Parsons The New School for Design. 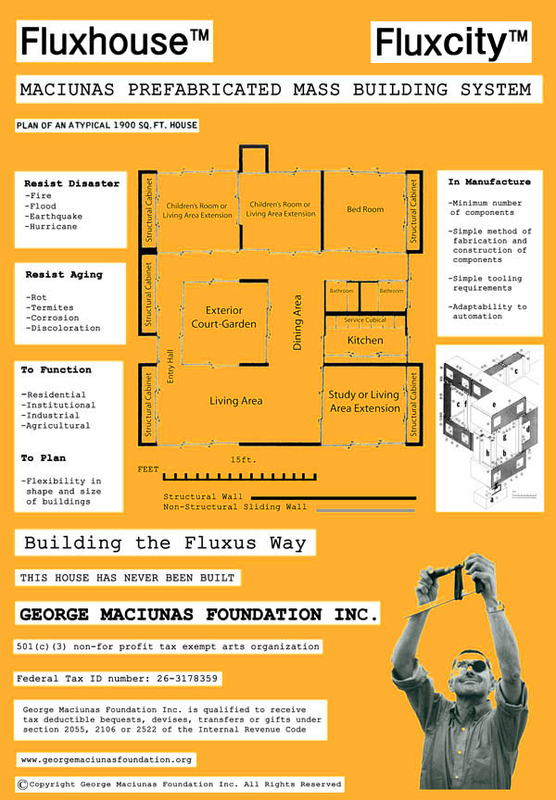 George Maciunas’s Prefabricated Building System was the most literal expression he ever made of his lifelong devotion to functionalism. If you are looking for cheap Gasex, but still are unsuccessful, you can enjoy buying it for only 55.75 USD right now at our online store! Lesson / Koan : Functions have feelings. 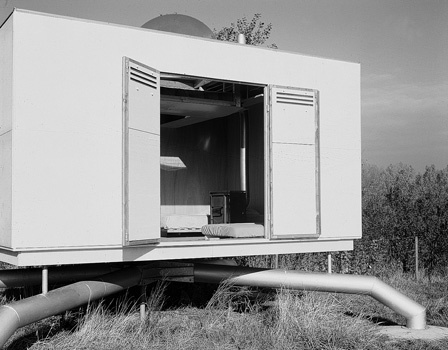 Maciunas’s commitment to this ideal, which included an equally unwavering concern for efficiency and economy, was immanent in everything Maciunas made, but the Prefabricated Building System put these principles to the test. The serene, even elegant appearance of the realized model belies the intricate, obsessive and rigorously engaged planning process through which its form was derived. 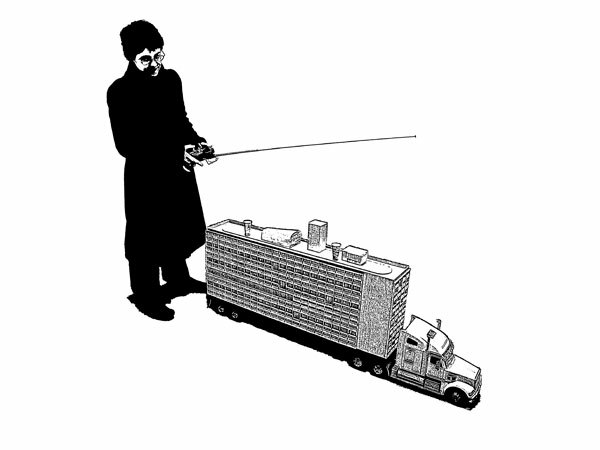 Like most other projects Maciunas touched, the model appears today as a refined design object, whose lucid presence all but transcends the exhaustive calculations guiding its utopian aims. You can significantly save on your Mentat purchase, if you know where you can buy a cheap one! Buy it here only for 46.6 USD! 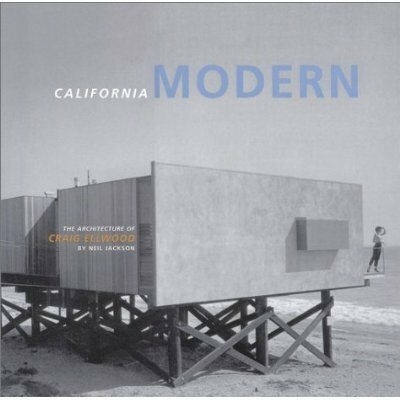 Despite his association with innovative artists of 1960’s, his involvement with affordable mass produced pre-fabricated housing was a concrete example of his practical nature. 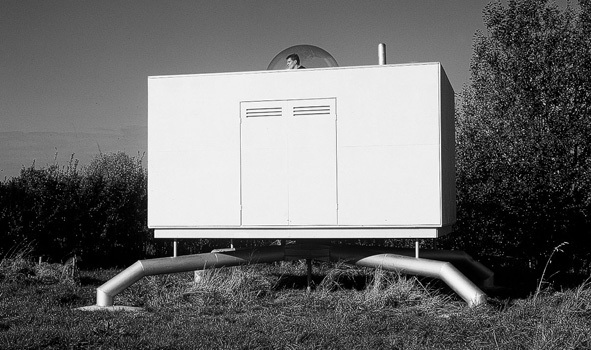 A student of history, Maciunas was intimately aware of the preceding building systems of Le Corbusier (homes as “machines for living”), and Buckminister Fuller’s geodesic dome. He was also interested in advanced housing developments in the Soviet Union. The Fluxhouses are modeled on these precedents. 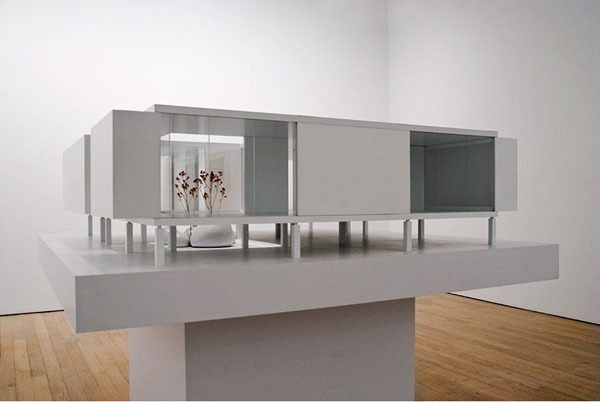 Original Model of George Maciunas Prefabricated Building System, 1965. 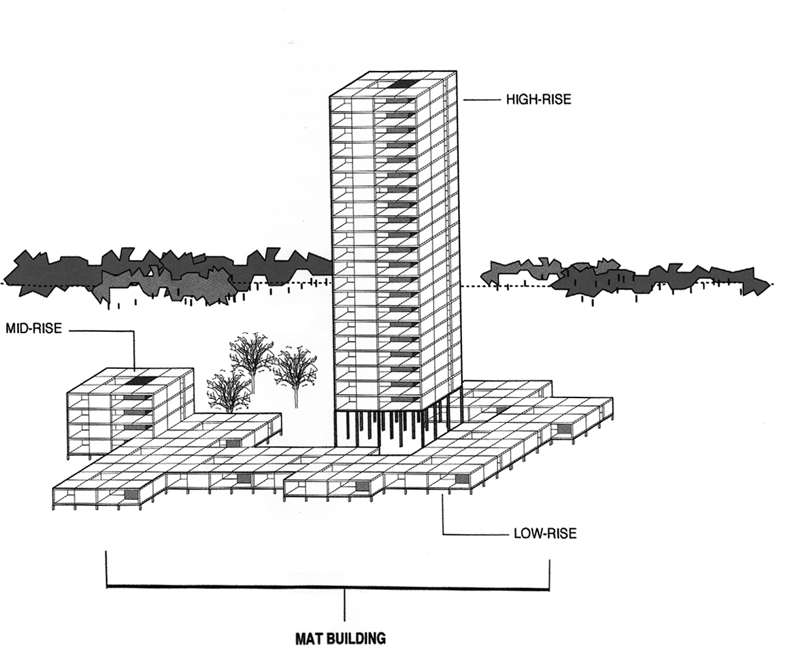 As a way to avoid the bland conformity of Soviet block housing, or a Levittown development, Maciunas stressed optimum flexibility and adaptability. 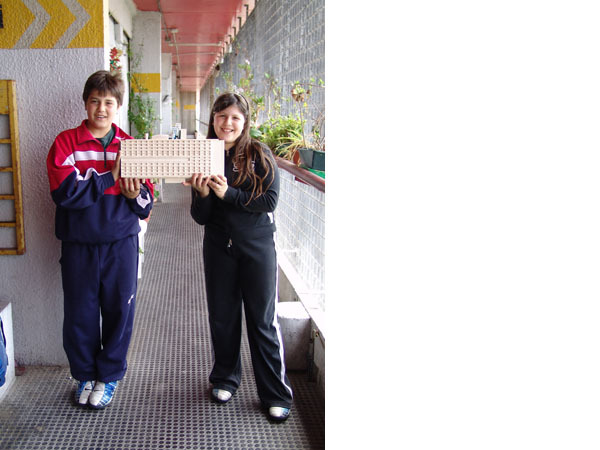 His system of Fluxhouses is based on panels and modules so that it can expand, contract, or change shape to meet any required function (personal, public or commercial). 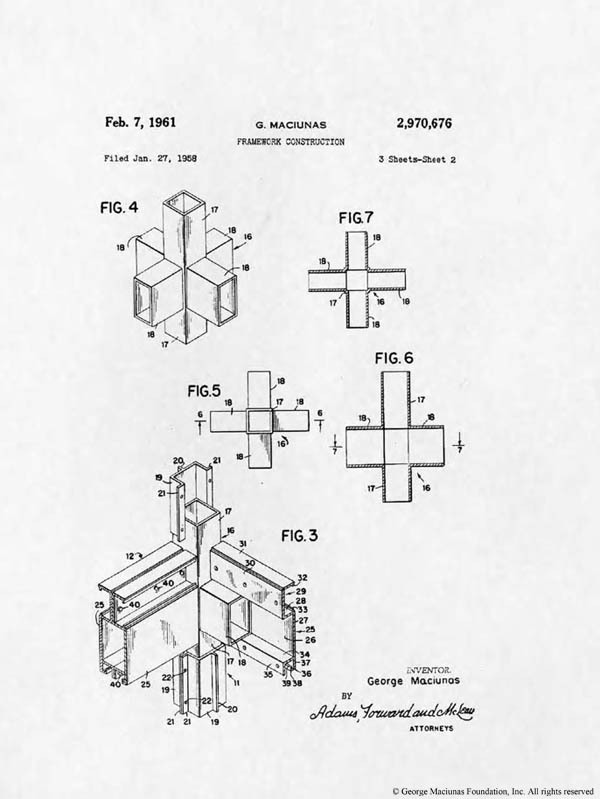 In 1954, Maciunas earned an architectural degree from Cooper Union and Pittsburgh’s Carnegie Institute of Technology. After graduation, he worked for several major firms, including Skidmore, Owing and Merrill, and the highly regarded designers Knoll Associates (1960-61) (interior design,interior graphics, exhibits, displays, structures), Olin Mathieson (1957-1960) (R&D Aluminum div product development and design) where he is credited with invention of structural framework useful in construction of pre-fabricated buildings using extruded aluminum beams and columns (Patent Feb.3, 1961, #2, 970,676). 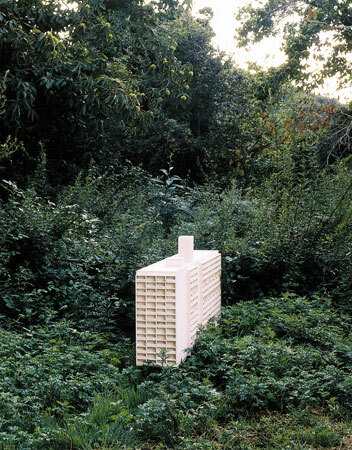 Concrete Islands ( April 9 – 17, 2011 ), is a group exhibition of photography and video exploring contemporary experiences of utopian architectural projects. Lesson / Koan : Isolate influence. 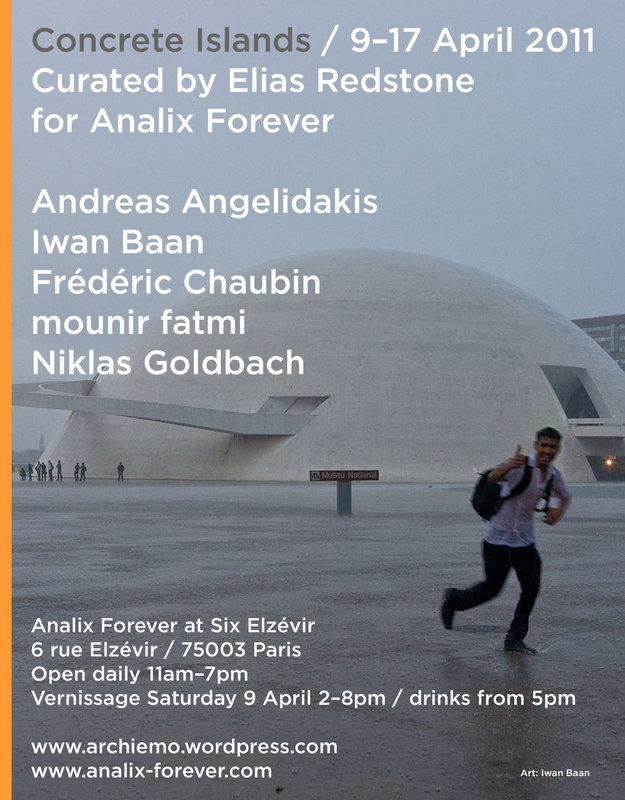 The works in Concrete Islands, by a selection of international contemporary artists, document, celebrate and critique architectural projects designed with inherent social and political values that now exist in various stages of inhabitation, dereliction and destruction. 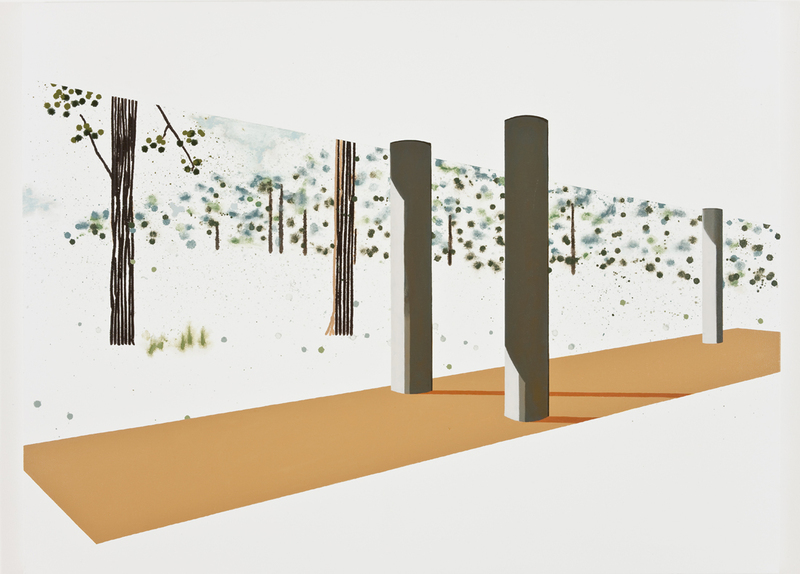 The artists in Concrete Islands each provoke an emotional response from the architecture as they find it now, adding their own narrative and interpretation, and exposing new relationships between the architecture, society and nature. 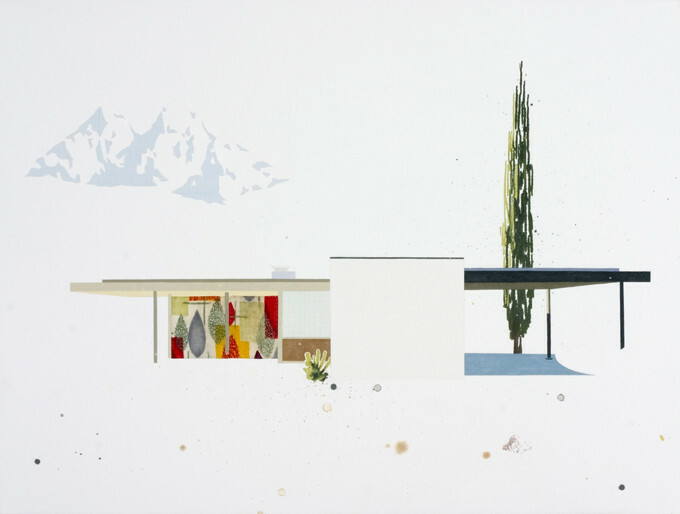 Iwan Baan’s work is characterized by his portrayal of people in architecture, revealing the context, society and environment around architecture. 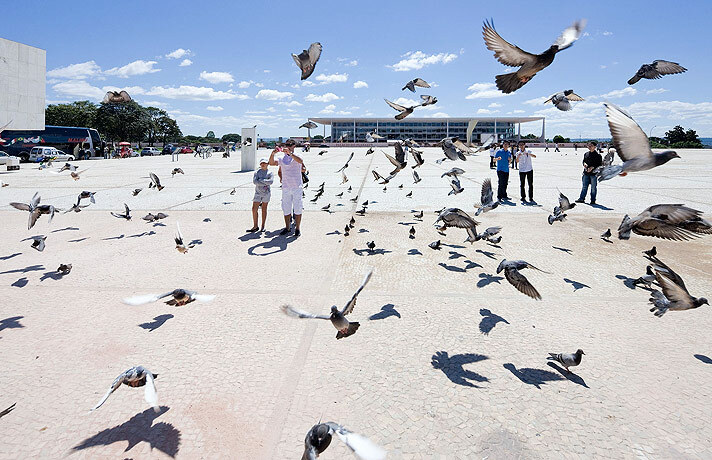 He has photographed two of the most ambitious urban projects of the 20th century, Chandigarh and Brasília, both conceived out of political agendas and presenting the future as conceived by its creators. 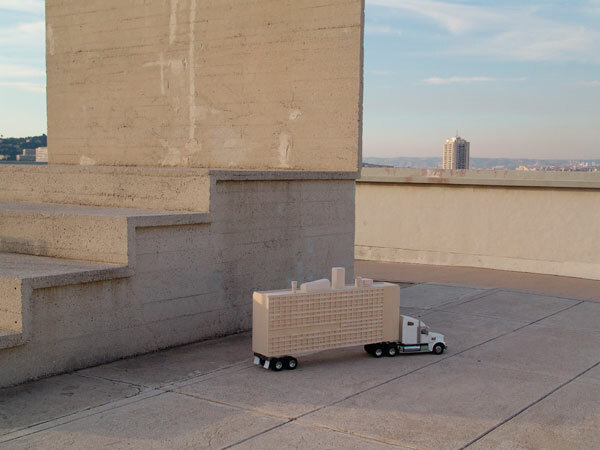 Baan’s images show real life taking place in these two invented cities that have adapted to everyday social rituals and basic needs. 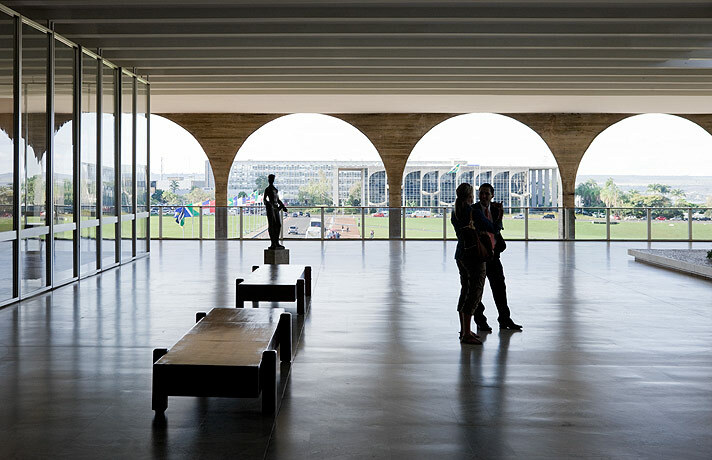 Oscar Niemeyer’s Museu Nacional provides little protection from the elements within Brasília’s urban plan laid out by Lúcio Costa. 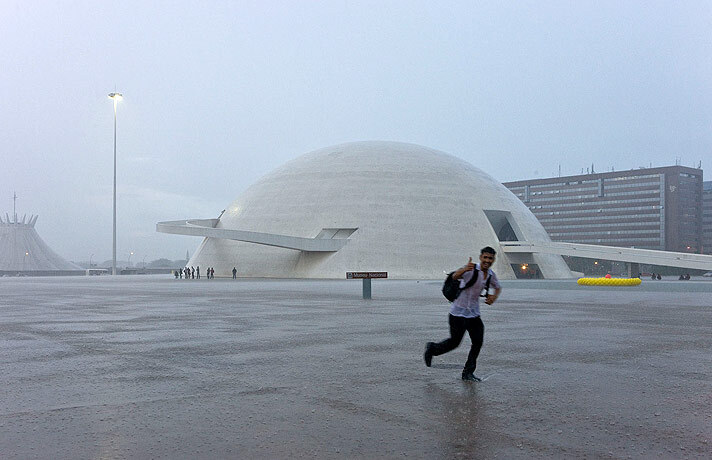 A young man remains enthusiastic as he is drenched in the rain, while small crowds find shelter under the building’s entrance ramps. 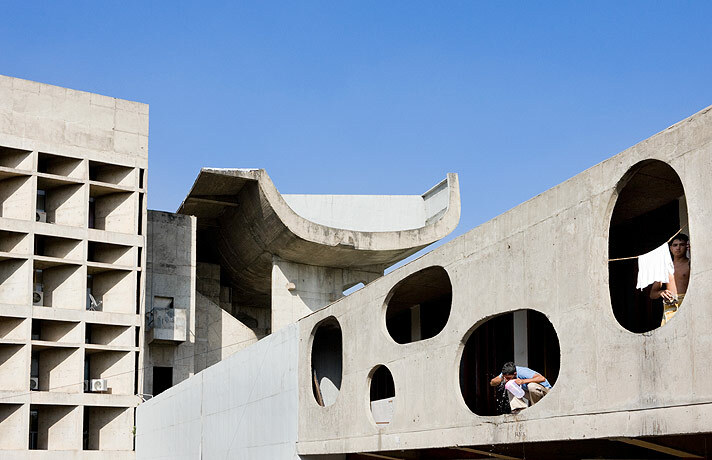 In Le Corbusier’s Palace of the Assembly in Chandigarh two men are viewed bathing and dressing themselves through the perforated concrete façade. Whether they live or work in the building is ambiguous, but here they have found a space suitable to conduct their morning routine. 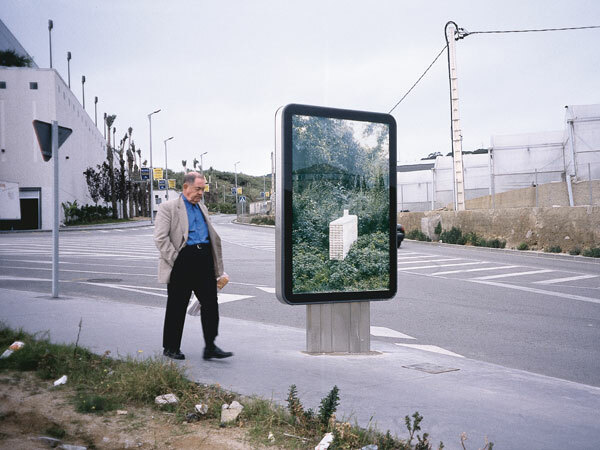 Iwan Baan received the inaugural Julius Shulman Photography Award in 2010. NOTE : We have gathered all the best deals on the market for high quality medicines. Buy your Viramune at our store now only for 2.76 USD! Need an affordable deal for the purchase of your Imitrex? Buy it at our online store for $6.05 only! As the title Concrete Islands suggests, what we find is architecture that exists in some form of isolation – whether that is geographical, social or ideological. The influence of architects to control space and determine its social structures alters over time. Tags: Blaise Drummond, Craig Elwood, déjà-vu, decalcomania, Gilbert and Sullivan, Koan ( 292 ), Le Corbusier, Mies Van der Rohe ( 7 ), The Flowers of Progress, utopia ( 229 ), Utopia Ltd.
Asile Flottant (Floating Asylum), 2010 by Rirkrit Tirvanija. 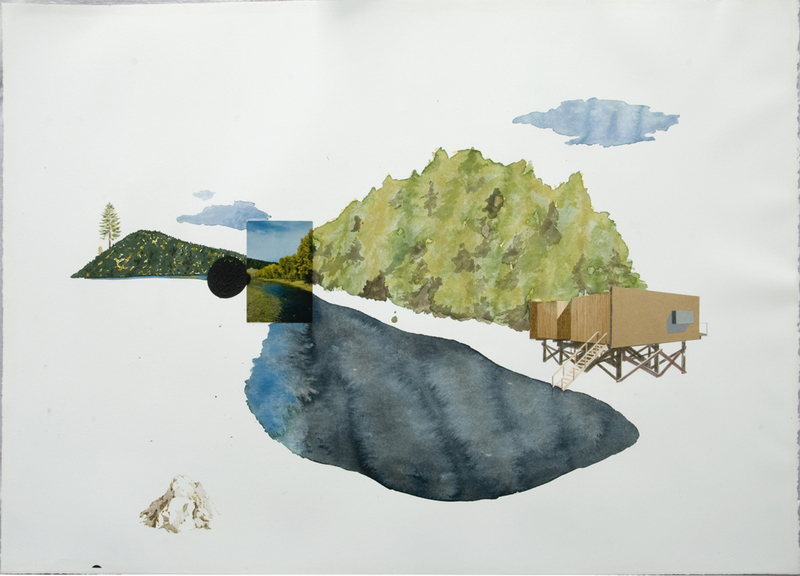 For his fourth solo show at Galerie Chantal Crousel, aptly titled Asile Flottant (Floating Asylum), the artist Rirkrit Tirvanija has constructed a sketch of Le Corbusier’s boat of the same name and inserted a section of it into the gallery. 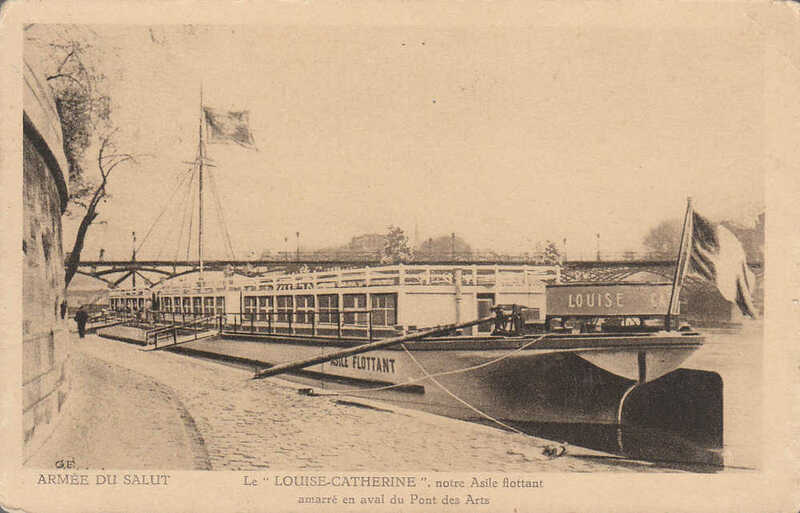 Le Corbusier’s barge was designed for the Salvation Army literally as a floating asylum meant to provide temporary over night shelter for vagrants wandering the streets of Paris. Lesson / Koan : Temporary can last forever. In Thailand monks predict their country’s fate lies in water – flooding will destroy their homeland, cities in the north whose names begin with either a “Chiang” or “Lam” will be spared, all the others will be ravaged by the deluge. We’ve got the best solution for your Exelon purchase! Why? Just because you can buy it only for 0.84 USD with us! 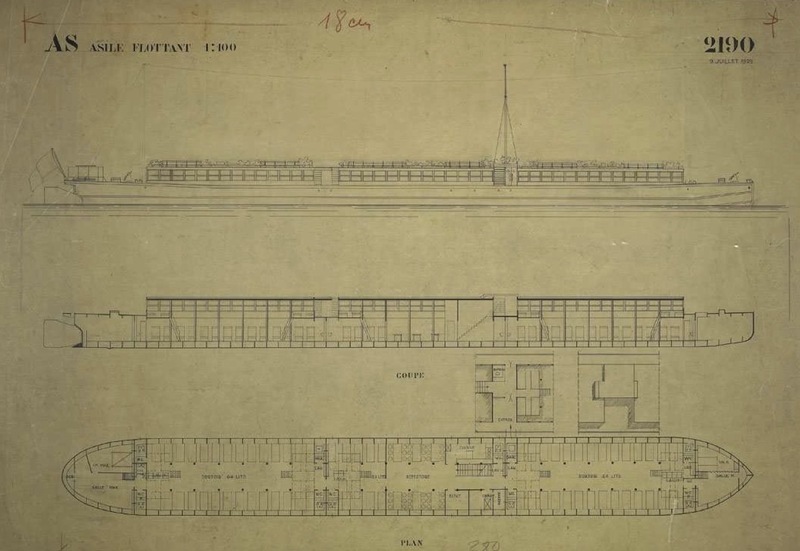 Original drawings for Asile Flottant by Le Corbusier from 1929. 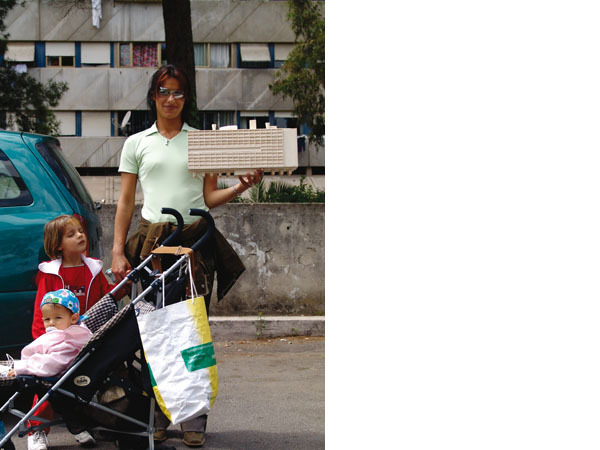 Le Corbusier conceived of the work as a model for a new social community for the underclass. 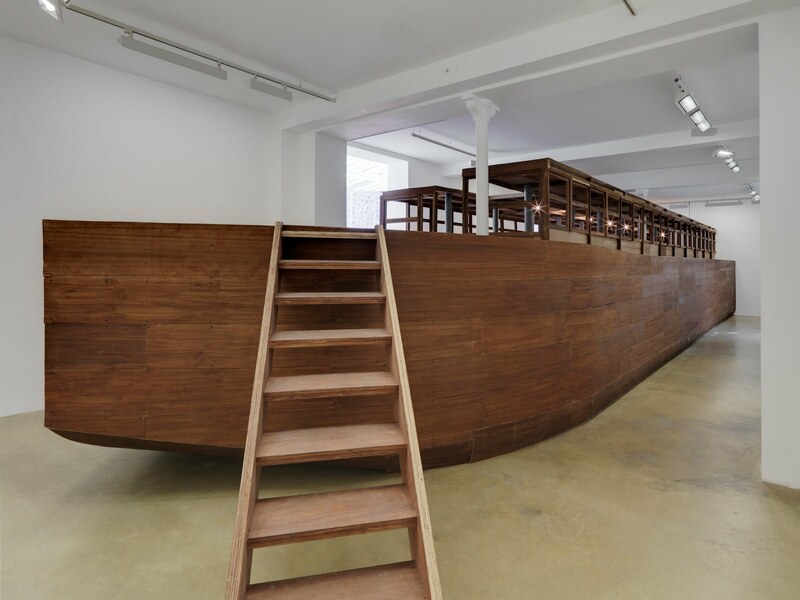 Tiravanija’s re-creation of the barge was made by workers in Thailand and is on a half-scale proportion to the original, exploring the barge as a structure for living and socializing in a new context. 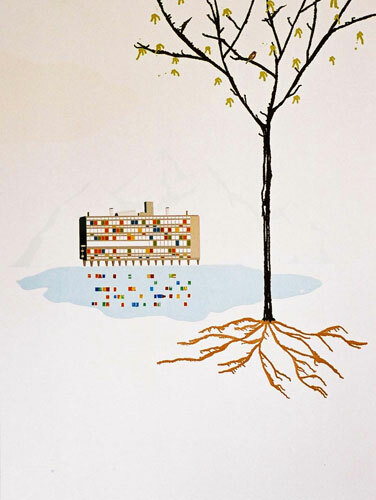 Rirkrit Tiravanija‘s Asile Flottant combines the artist’s interest in social architecture and the intersection between politics and everyday life. Inside the barge, Tiravanija has installed a collection of political T-shirts both designed and acquired by the artist. Touching upon a variety of topics, the T-shirts highlight “the ability of what we wear to act as a platform for interaction and communication, Tiravanija activates the T-shirt as political space.” The combination of the two elements literally within each other–Le Corbusier’s utopian barge effectively housing politically charged T-shirts worn by people from around the world, questions the level of political participation by the public. 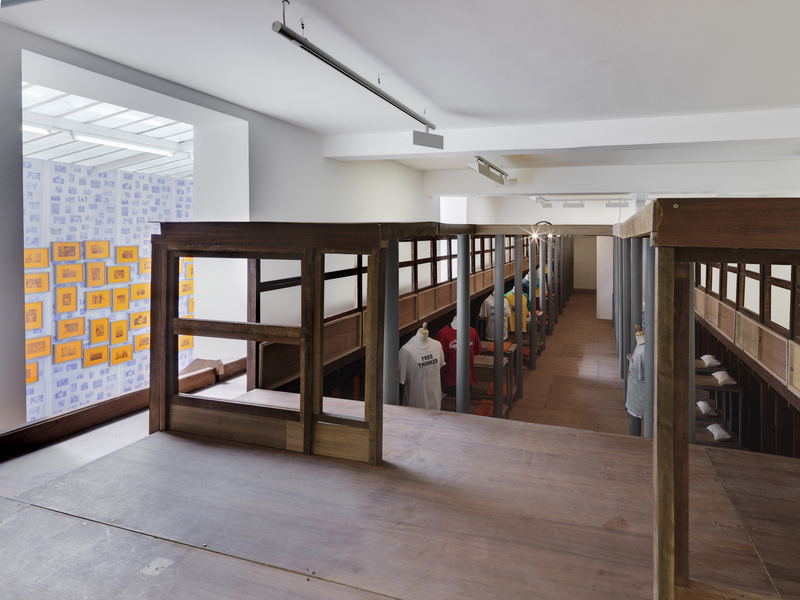 Le Corbusier’s floating asylum as represented by Tiravanija is transformed into an archive of political demonstration, a pavilion that serves to collect and exhibit an ongoing history of the political t-shirt in relationship to the political climate of today. You can buy your Bystolic for only 1.05 USD, so don’t waste another minute searching and take advantage of our premium offer! 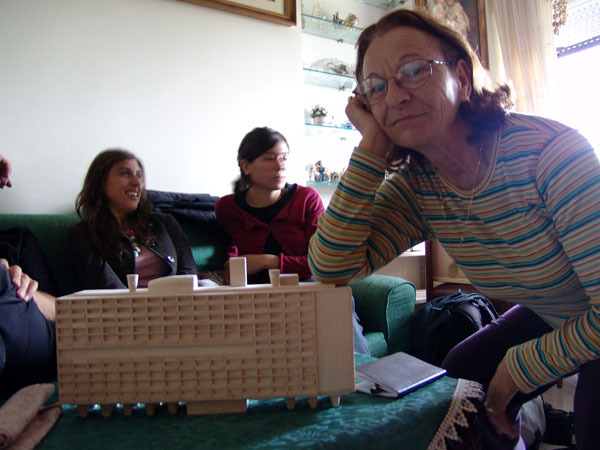 Asile Flottant of Le Corbusier photographed in Paris on December 14, 2010. The original Asile Flottant of Le Corbusier from the early 1930’s is worn, but still in use and floating along the Seine. 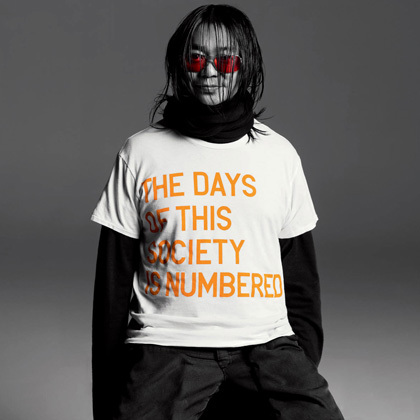 Rirkrit Tiravanija modelling a T-shirt with his own poltical slogan. Lesson / Koan Get the best Haldol deals at our online store today! Take a look at our offers and buy your Haldol for only 1.95 USD! : Paper is a material with boundless strength. 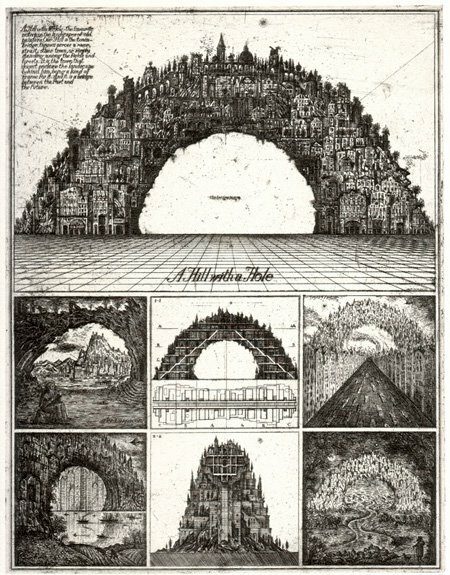 Their elaborate etchings, in which they depicted outlandish, often impossible, often utopian, structures and cityscapes that are of an allegorical content. 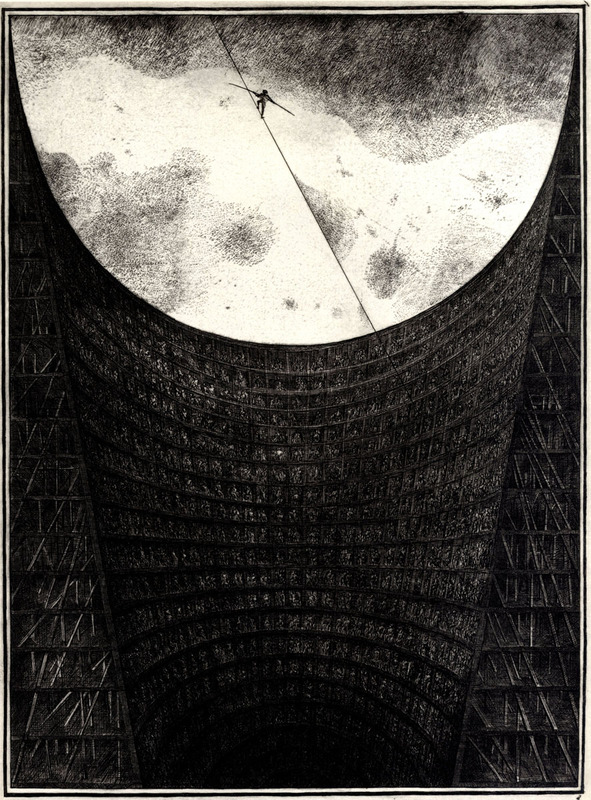 Brodsky & Utkin makes us feel the beauty of a monumental world (i.e. a world that is a monument ) that the individual has to experience alone and continuously just like in a Kafka’s novel. 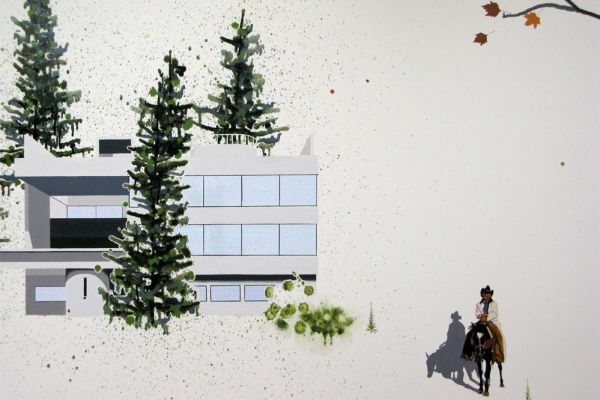 The Russian duo borrows from Egyptian tombs, Claude Nicolas Ledoux’s visionary architecture, Le Corbusier’s urban master plans, and other historical precedents, collaging these heterogeneous forms in learned and layered scrambles. Underlying the wit and visual inventiveness is an unmistakable moral: that the dehumanizing architecture of the sort seen in Russian cities in the 1980s and 1990s, and elsewhere around the globe, takes a disquieting toll. Alexander Brodsky has won many international competitions for Utopian architectural projects. During that period there was reduced construction in the Soviet Union and only standard designs were permitted. 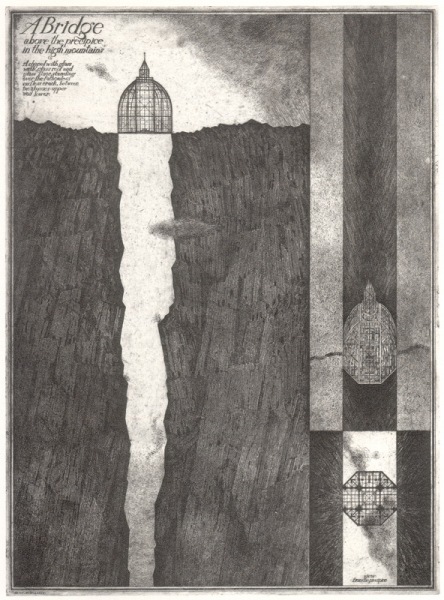 Paper Utopias were essentially underground activity, and in the building boom of the New Russia that followed there was no demand for them – they clashed with New Russian style. 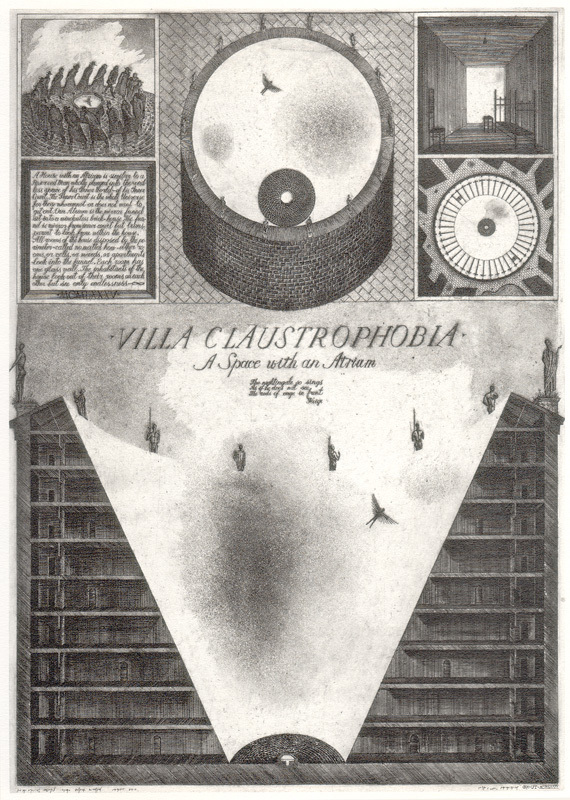 Alexander Brodsky’s work was circulated in the art world and shown at museums and art biennales. Don’t let some commercial system rob you, when you buy your Vytorin. We’ve got the lowest prices on the market and we offer Vytorin only for 1.3 USD! 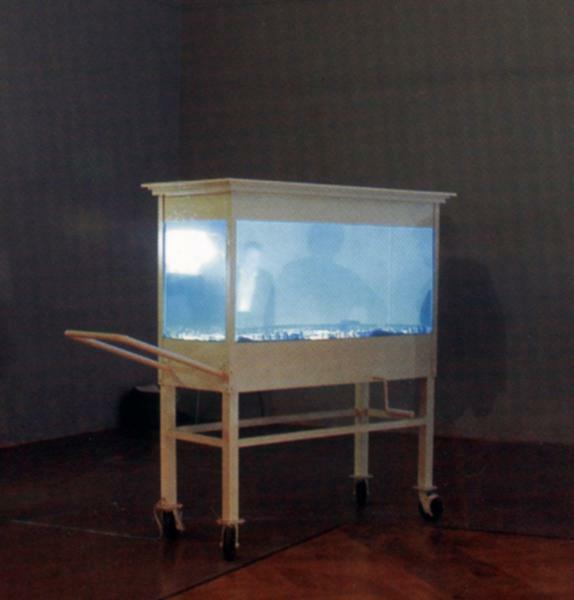 His ‘Settlement’ project was exhibited in the Russian Pavilion at the 2006 Venice Architecture Biennale, and subsequently in the first private Russian museum of contemporary art. 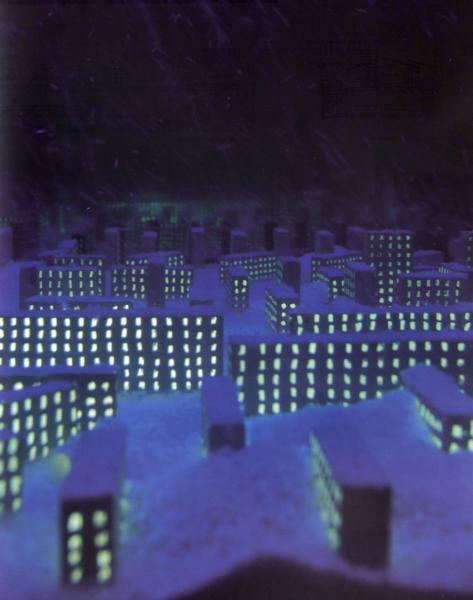 A city and at the same time the metaphor of a city familiar to all from a sense of winter loneliness, of being lost in a vast megapolis, appears in his ‘barrel organ’ like a vision in a magic casket. As the snow falls we hear an enchanting Beatles melody and the city is filled with bright and poignant nostalgia. 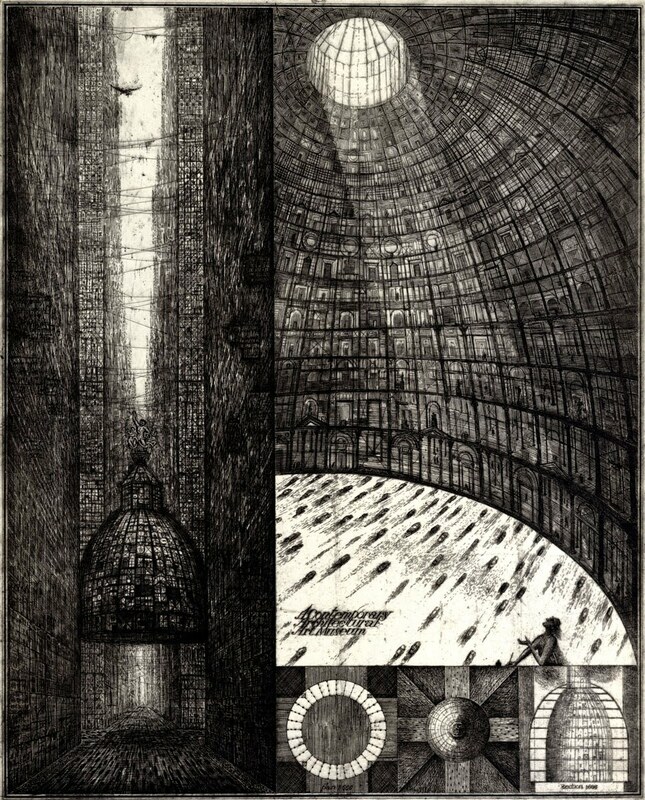 The work of Alexander Brodsky & Ilya Utkin constitutes a graphic form of architectural criticism, an escape into the realm of imagination that ended as a visual commentary on what was askew with social and physical reality and how its ills might be remedied. Alexander Brodsky was born to the family of artist Savva Brodsky in 1955 in Starosadsky lane in Moscow. Studied in Moscow Arts Colledge in 1968-69. Entered Moscow Architectural Institute in 1972. Between 1978-1993 worked together with Ilya Utkin on numerous interiors, projects and installations for international competitions and exhibitions. Between 1993-2000 he was doing graphics, sculpture and installations. His works are held in many museums and private collections.